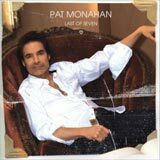 Frontman of the Grammy Award-winning multi-platinum group Train, Pat Monahan, is back with a solo album, Last of Seven. Last Of Seven is a soulful rock and pop album that represents a new and electrifying level of Pat Monahan. As the last of seven kids, "Last of Seven" is a way for Pat Monahan to express himself in a more personal way than listeners have ever heard. The album, featuring songs written or co-written by Pat Monahan, is a mix of up-tempo rock, ballads, and soulful grooves. His new album features the hit single "Her Eyes" and features production by Patrick Leonard (Madonna, Elton John, Roger Waters) as well as guest appearances from Brandi Carlile on "Pirate On The Run," Graham Nash on "Cowboys and Indians" and Richie Sambora on "Someday". The band is Steve Lukather (guitars, vocals), Simon Phillips (drums), Bobby Kimball (vocals), Greg Phillinganes (keys, vocals), Leland Sklar (bass guitar) and Tony Spinner (guitars, vocals). 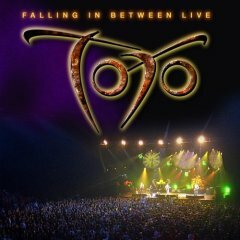 You can listen sound clips title by title from "Falling In Between Live" at Toto 99 official website. 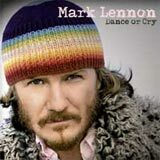 "Dance or cry" Mark Lennon new release! Mark Lennon has been singing professionally since the age of 14. 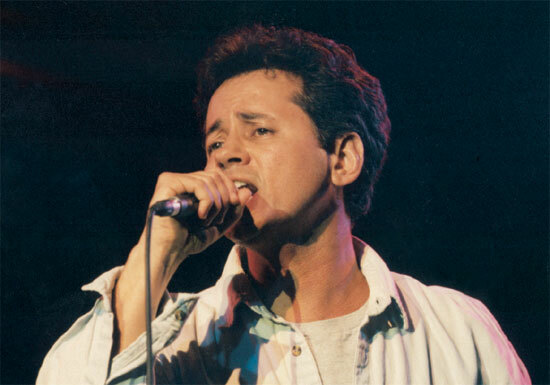 One of the lead singers in the band "Venice" (with his cousins and brother), he has been recording albums since 1990, both with "Venice", and as a solo artist. Mark is third generation Venice California . His music and voice quality both exude that California beach sound, similar to that of the Beach Boys, Eagles and Crosby Stills & Nash. 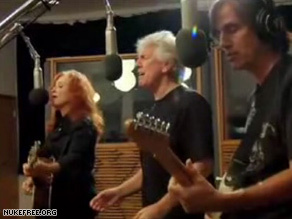 Celebrities such as Stevie Nicks, Jackson Browne, David Crosby and Graham Nash have come to see Mark's performances as well as sit in on them. Mark also sang backgrounds for Cher for two years and toured with Phil Collins. Mark has done session work for Don Henley, Billy Bob Thornton and hundreds of others. Listen to Mark latest album "Dance or cry" and order it here! There was a time when i discovered again where Greg Guidry was. This was in 1993 if I well remember. One day, Pierre Hourcade, a french lawyer told me he was in touch with Greg Guidry. I got in touch with Greg via fax messages at this time and like Pierre, I told Greg there was an audience for him in France and in Europe. Thanks to his longtime friend Rich Lang and to the staff of Disney Village, I have been very proud being a part of an opportunity for him: what was a dream for Greg: Playing in France, doing a concert with his own band to what he told me for his first time ever. This was in October 1996. I still remember that I saw an incredible hope in his new career, in meeting real european fans for the first time ever and being there with his two great sisters. I remember that I cried in seeing Greg rehearsals at Disneyland the day before the concert in a small club with his ownd band. I remember how Cathy and Sandy were moved. I also remember how Greg was happy to be there at The Westcoast Music Festival. I remember that Greg invited Robbie Dupree on stage to sing with him. Greg was more than a very talented artist, he was a great human being and a deeply emotional person. I remember all these email messages I have exchanged with Greg Guidry after the mid-nineties. I remember how he was proud to work on "Soul'd Out" his last album. Greg was a genius. I did all of this for Greg simply because I love his music, songs, voices as a volunteer. In August 2003, my buddy friend Robbie Dupree learnt me the piece of news via an email message. Greg died July 28th, 2003. I was deeply sad and I am still sad. I will never forget you Greg. Greg, you know what I was more than your manager in Europe. Greg, wherever you are, you know I have told you times and times : "You have the voice an angel" (and you are a magical piano player) and i was so proud you were on the line-up of the Westcoast Music Festival at Disneyland Paris during the 90s'. I know it was one of your dearest dreams to reach live your fan audience in our continent. Thank you a million times for all the joy and love your have brought to this world and to your fans. Theo (and Candice), you can be proud of your father. Thanks for your GREAT initiative of your MySpace page in the memory of your father Greg Guidry. Theo, if you read this article, please join me at [email protected] , i have memories of your father I wanna share with you and your family (Candice, Cindy, Cathy and Sandy...). (Picture: Greg Guidry at The Westcoast Music Festival in October 1996 - Disneyland Paris - Copyright Disneyland Paris - All Rights Reserved). Hugo Remmelt, Thijs Muus & Femke Japing are singer/songwriters from The Hague, Holland. 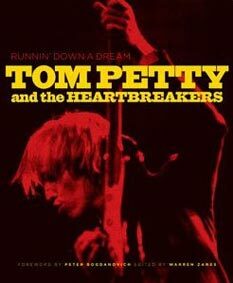 Due to their powerful vocal harmonies, their music is often compared with the music of Crosby, Stills, Nash & Young. In September 1995 (Hugo) Remmelt and (Thijs) Muus combined forces. After doing more than 500 gigs as a duo in pubs, youth centers, regional radio stations, on festivals and the bigger Dutch pop stages, the young lady singer Femke joined them in 2000. Their debut CD, Hugo Remmelt & Thijs Muus (1999), has been awarded as best pop CD from The Hague. The following album, Bridging The Gap(2001) appeared in the Dutch charts and got very good reviews. One of the results of this success was a live performance on national television, where the group played their hit-single If We Should Fall. CD nr 3, The Long Way Round, broke all the records. Singles Move On and Here Comes The Sun got a lot of airplay on many Dutch radio stations and very positive reviews in national but also international pop magazines and on music websites. Remmelt, Muus & Femke often perform in small theaters, but also appeared on the Neil Young Fan Club Day in Holland and in Germany. On bigger stages, they played as support for bands/artists like Poco and Chris Isaak. 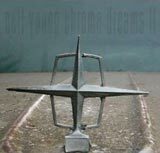 Neil Young presents "Chrome Dreams II"
What we have here is easily Mr. Young's finest work in years, one that erases the memory of his well-intentioned but anemic 2006 protest album, Living with War. Recorded using analog gear, with Crazy Horse drummer Ralph Molina, pedal steel guitarist Ben Keith, and Rick Rosas on bass, CD2 manages to sound both home-grown and experimental. It's the work of an artist still not afraid to take chances, who also knows what his strengths are and doesn't stray too far from them. Trainspotters will note that three of the ten songs were written but never released before, while we all might puzzle over the title. Chrome Dreams is the name of an unreleased album from 1977. So, why is this Chrome Dreams II? Is it a similar case to 1992's Harvest Moon, when Young went back to the virtual land of his 1972 hit Harvest to write more material in that vein? As the original was reportedly lost in a fire, we may never know. Chrome Dreams II offers up gorgeous, plaintive laments and country-tinged numbers sung in that achy breaky, heart-on-sleeve voice of Young's, as well as ragged barn-storming rockers delivered with a growl. There's even an 18-minute dirge that excitedly mixes R&B back-up horns with searing electric guitar leads! Wow. Craig Fuller is one of the great American country-rock singer/songwriter/guitarist. Ex-member of bands American Flyer and Little Feat, we also love his classic album "Craig Fuller and Eric Kaz" as a duet Fuller and Kaz (1978). 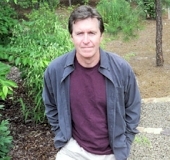 Currently a member of Pure Prairie League (he was co-founder of the combo in the early Seventies), Craig Fuller now works on his new solo album which will be entitled "Not Made In China". Please note that this summer at the Poco/Pure Prairie League concerts, they were selling T-shirts which read " Coming in 2007- Craig Fuller's " Not made in China" CD. There's still nothing firm yet, other than Craig Fuller 's still working on it. As he said " There's still a few months left in 2007." No further details are available at this time. "HEMIFRAN" Gut Music for all people! Please, visit Hemifran's site, you won't be desapointed cause you'll find... TREASURES!! Here is to follow, 4 artists discovered on Hemifran's site, who offer amazing albums: Mark Lennon, lead singer of band Venice, John Batdorf, Brad Colerick and a band I fell in love with, Remmelt, Muss & Femke!